Janet Surrey, PhD is an Insight Dialogue Teacher. She teaches Insight Dialogue retreats worldwide and leads a longstanding practice group in the Boston area. Her first meditation teacher was Vimala Thakar . She has practiced in the Insight tradition for over 30 years, and trained as a Community Dharma Leader at Spirit Rock. Since 2007, Jan has worked intensively with Gregory Kramer and the Insight Dialogue Community. Jan is a practicing clinical psychologist and founding scholar of the Jean Baker Miller Training Institute at the Wellesley Centers for Women. 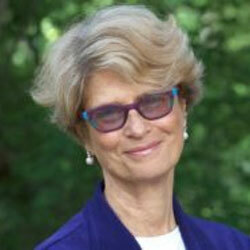 She is on the faculty and board of the Institute for Meditation and Psychotherapy. She is the author of The Buddha’s Wife: The Path of Awakening Together.